Home » All Blog Posts » Jazz it Up! 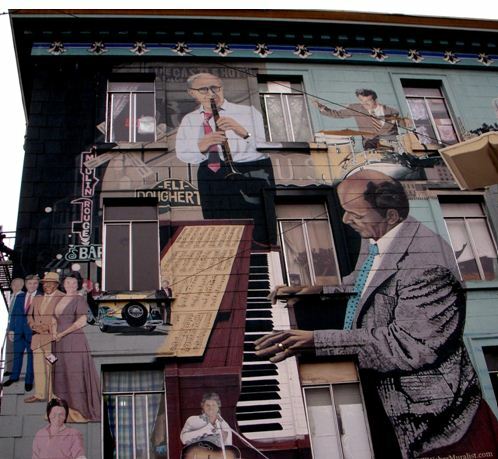 This week marks the grand opening of San Francisco’s new Jazz Center. As I write this, I’m listening to Stan Getz and Joao Gilberto, and thinking about the recent loss of the late great Dave Brubeck. I used to listen to jazz with my dad. He adored Earl “Fatha” Hines and Ahmad Jamal, among others. Both were Philadelphia transplants who joined the Chicago jazz scene. We would listen to Dizzy Gillespie be-bop, Ella Fitzgerald, Count Basie, and others. 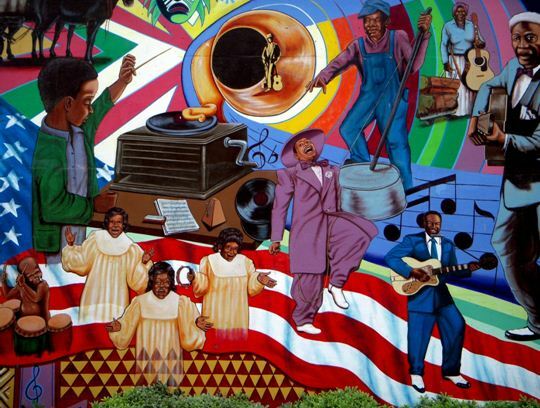 The Dixieland sounds of Al Hirt, Pete Fountain and Louis Armstrong were also ever present. By the time we were through, Jamal’s Live at the Pershing, and Hirt’s Cotton Candy weren’t worth the vinyl they were pressed in. Even today, I’ve had my tickets for spring concerts of both Tony Bennett and Wynton Marsalis since last fall, knowing they’d be sell-outs. One memorable Marsalis concert at Zellerbach had the joint totally jumpin’. As the music moved the crowd, dancers appeared out of nowhere to jitterbug their hearts out right there on the floor amidst the crowd – and we all joined in. Yes! Yes! Yes! Jazz Clubs proliferated in post-WWII San Francisco – Jimbo’s, Bop City, the Black Hawk, Keystone Korner, etc. hostingt he greats – Ellington to Ella. Luckily, we still have the Rrazz Room and Yoshi’s going strong. A tip of the trumpet to those establishments. 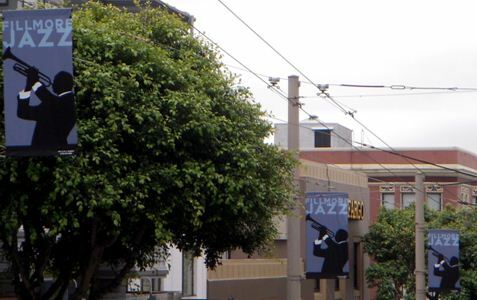 It isn’t surprising, considering San Francisco was home to the Church of St. John Coltrane! It’s a delight and a privilege to have a permanent home for the Jazz Center. In addition to great concerts, they’ll be hosting the SF JAZZ High School All-stars, family matinees and Discover Jazz Classes. It reminds me of a time I spoke in New Orleans. The jazz festival happened to be going on. After my lecture, I raced to the festival, and was surprised to discover bus after busload of school children arriving. Kids of all ages disembarked, clutching clarinets, trombones, trumpets, and saxophones as they eagerly disappeared into the throng. I (foolishly) asked a teacher “What about school?” She looked at me like I had two heads. “School? During the jazz festival? Honey,” she admonished, “you’re at the best school in the world. All the greats are here.” She was sooooo right. Kids got to jam with zydeco bands, Dixieland masters, improve jazz ensembles, and more, and they were in heaven. An aspiring musician living in The Big Easy definitely gets the long end of the wishbone…. .I think the Duke would approve of this lovely number. (And yes, I’m referring to Ellington, not John Wayne, a master in his own genre. 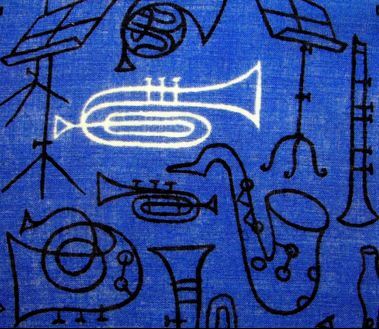 )The ever-so-expressive lines which depict the instruments, squiggle, jive and twist like notes springing from a horn.The solitary instruments in glowing white alabaster silhouetted against the brilliant blue background shine like sweet solos ready to take center stage. The ruby red border adds just the right zing to frame this blues ensemble. If you’ve been lucky enough to catch Tony Bennett’s Duets II on PBS, you’ll note that in his duet with Lady Gaga, he sports a scarlet silk handkerchief. Gaga zips the crimson square from his pocket, flutters it and flirts with him, then incorporates it into the song. 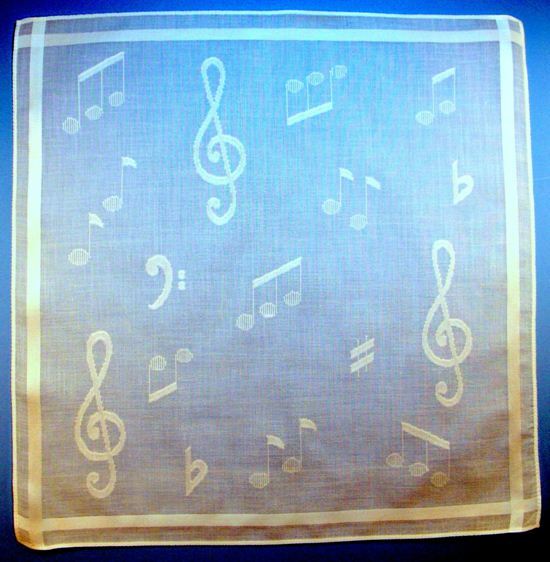 In the spirit of all things stylish, I’d love to gift this vintage handkerchief to the master who knows how to swing a song. 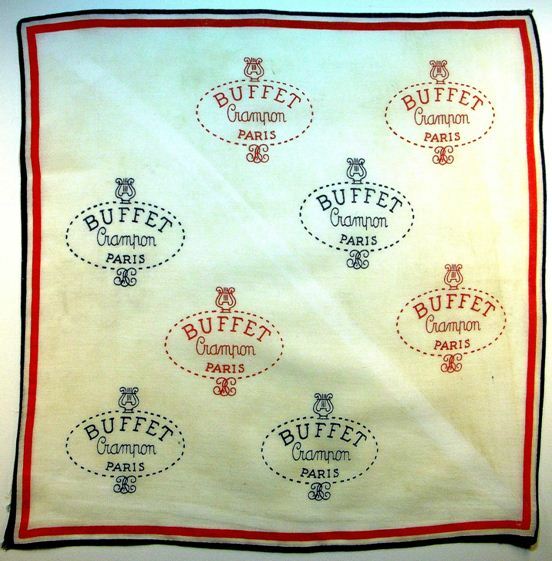 If anyone could appreciate this hankie, it’s Mr. Bennett. It’s obvious he loves and appreciates every musician in the orchestra, as well as each professional with whom he sings. I could try to contact his agent, I suppose, but would my Hankie Hero get lost in red tape? I couldn’t bear to have this gem go astray, so I’m asking readers for your help. If you know him or someone close in his entourage, please forward this blog link to the appropriate person, or contact me with contact info, and I’ll do my best to see this hankie finds the musical home it deserves. Thank you in advance for your support. Never fear, I’ll keep its counterpart in rich chocolate brown. Equally fabulous and warm, it whispers basement speakeasy on Chicago’s south side, or a swanky Harlem nightclub rendezvous after hours. 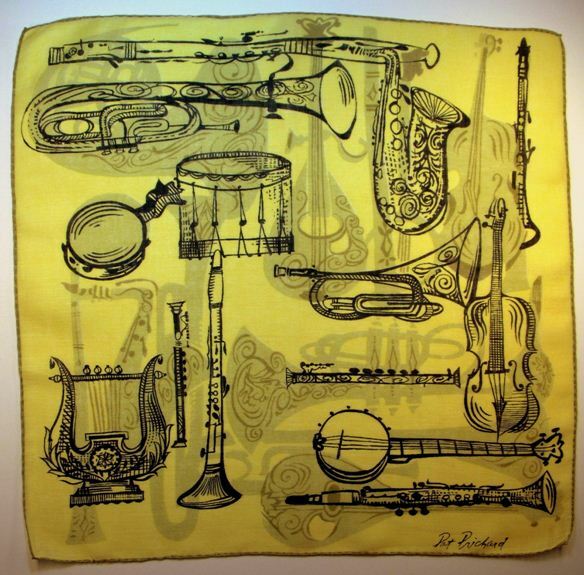 Carry this hankie and you may find yourself swaying to a smoldering sax crooning into the wee hours of a breaking dawn. Here’s a terrific ensemble piece. 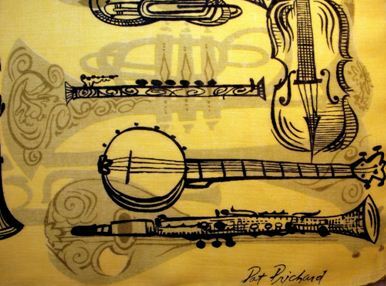 Contrary to the standard two dimensional images we find on most handkerchiefs, the artist utilizes background and foreground, light and shadow, piano and forte to illustrate the rich layers these instruments would treat us to, could they spring from the cloth and take flight. The composition is thoughtfully arranged. Note the harp behind the small lyre; it seems almost like a stage mom pushing her child forward into the spotlight. The horizontal mandolin and trumpet create a harmonious backdrop to the horizontal banjo, clarinet and piccolo. It’s refreshing and playful, while simultaneously gracious and refined. 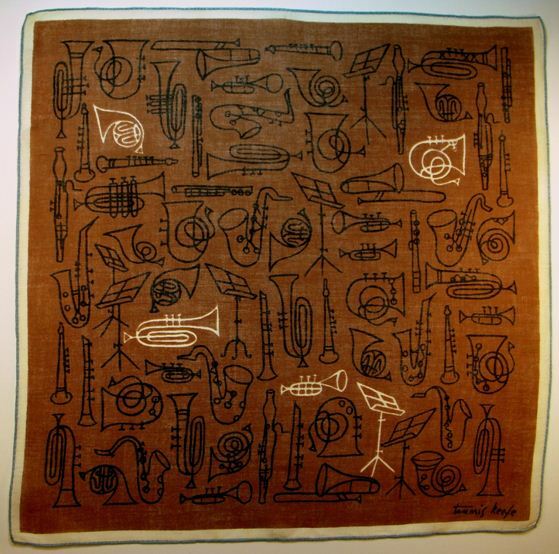 The amount of detail enhances the overall musical energy, like multiple notes on a scale. Such dynamic illustrations force us to take our time and savor, much like we do when listening to great music. In contrast to the lush visual feast above, the next hankie beckons us down into a 1950’s beat cellar, complete with bare brick walls and late night jam sessions. It’s all here, but stripped to the essence, like jazz greats jamming after the joint’s been closed for the night. The only cats still hanging in the smoke filled cellar are aficionados of pure, clear sound. Peggy Lee might drop in to lament a few bars of Black Coffee or simmer a rendition of Fever. The images are terrific in their simplicity. 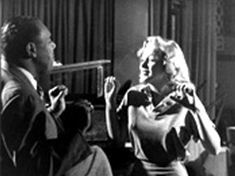 The xylophone brings to mind a night we found ourselves up until 2:00 a.m. My eyes were burning, but Lionel Hampton was on the tube spicing up the soundtrack of an old B&W movie, and there was no way we were going to miss a note from the master. Could we pare the images down any more than we have in this stark hankie of colorful squares? Actually, we can, and we did. It doesn’t get any classier that white on white. 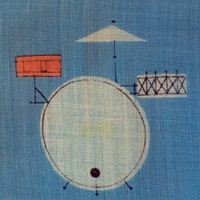 It’s photographed on a blue background so you can see the detail. The images are so whisper soft, you might otherwise miss them. It’s all around fabulous, whether you pop it in your evening bag for a black tie outing, or tuck it in your troubadour’s jacket to lounge at the jazz club. Like a lady confident in her personal style, this snowy sensation adapts to any occasion. The detail in this beautiful linen masterpiece is divine. Nothing more need be said. 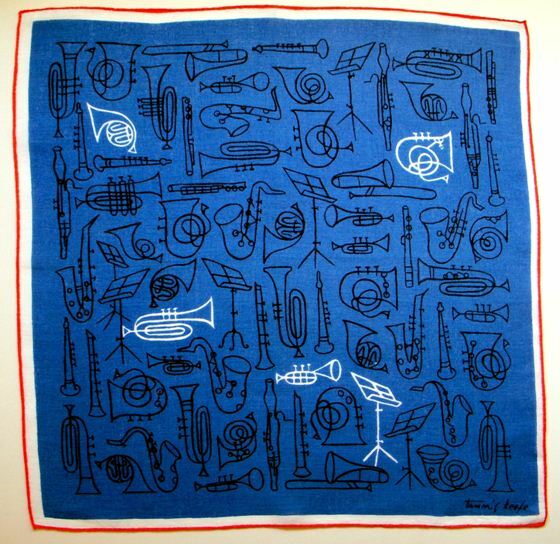 If you love a hot (or cool) clarinet – a sound often showcased in Duke Ellington’s band – you’ll appreciate this truly antique little hankie. Look closely and you’ll see a white diagonal line, indicating where it was folded. The yellowing comes from being exposed to air, thus we know it remained lovingly folded in the same position and stored for many years. Others who made the licorice stick jump and jive include Benny Goodman, Artie Shaw, and Woody Herman, considered swing clarinet players, and the great Pete Fountain, a Dixieland master, and that’s just the tip of the iceberg. Allen himself plays with the Eddie Davis Jazz Band on Monday nights at the Carlyle Hotel. According to the experts, anyone lucky enough to own a Buffet Crampon has one of the best musical woodwinds ever made. (This hankie seems bigger than a swab and it doesn’t have the little strings.) 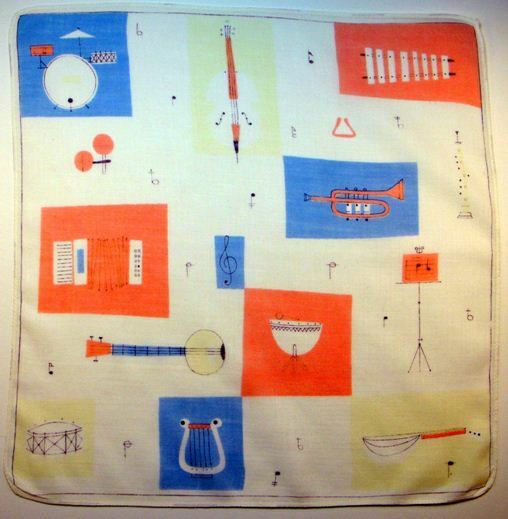 I’d like to think a musician used this hankie to mop his brow after a hot set of cool jazz. Musicians who gave it all they had, like the lively group we see here, certainly needed the occasional hankie to freshen up before the next set. As with my Wynton Marsalis experience, the audience depicted in the background can’t help but get up and dance! 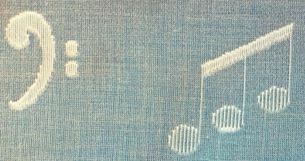 I wonder if it’s incidental or intentional that the band leader is swirling his hand in the formation of a G clef? Everything about this mini-canvas sings “Don’t hold back. We’re giving it everything we’ve got. 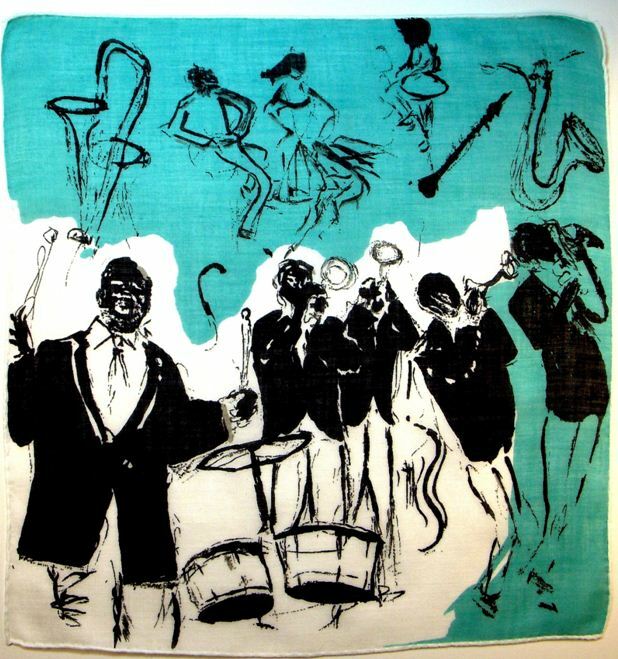 Come join in the fun.” The wash of brilliant turquoise contrasted with the stark black and white sketch of the band creates a bold and beautiful hankie for a night on the town. We’re all aware the life of a musician wasn’t easy, chasing gigs from town to town, sleeping on the tour bus (we’re talking uncomfortable upright seats, not the luxury coaches of today) then arriving at a hotel, desperate for sleep, only to be turned away if you were a minority. Knowing what they endured, I found it heartwarming to hear a story that I cannot confirm, but heard from multiple sources, so I’d like to share it here. 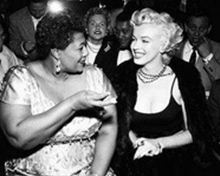 Apparently none other than Marilyn Monroe was instrumental in using her star status to see that discrimination was overturned in venues where she had influence. West Hollywoods’ Mocambo is one example. Opened in 1941, the Mocambo was an instant success, attracting the likes of Howard Hughes, Ava Gardner, Bob Hope, Charlie Chaplin, Elizabeth Taylor, Humphrey Bogart and Lauren Bacall, Clark Gable and Carol Lombard, Ronald and Nancy Reagan, Judy Garland, and more. The club’s main stage was replicated for the TV show I Love Lucyas Ricky’s nightclub the Tropicana. So whether you’re a musician, or just appreciate the magic they create, take a moment this week to enjoy your favorite melodies – be they classical, contemporary, rock, R&B, jazz, etc. – whatever puts a smile on your face, a song in your heart, or a spring in your step, and if you happen to attend a live event, don’t forget to raise your hankie high, and wave to the performers in appreciative thanks.